National Running Day + National Trails Day = 25% OFF all trail books from VeloPress! 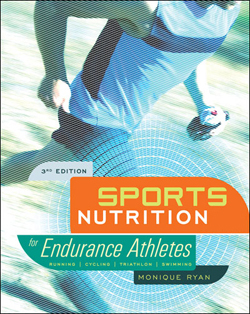 Purchase Sports Nutrition for Endurance Athletes, 3rd edition for 25% off Wednesday through Saturday. This comprehensive books outlines everything you need to know to optimize your nutrition for trail running and trail biking. Learn more about pre-exercise fueling, how to hydrate and fuel on the trail, and the best recovery nutrition strategies so that you are ready to go out and run or ride again the next day! Thanks to a rare alignment of the stars and planets, National Running Day (June 3) and National Trails Day (June 6) are both this week! Take a look at all VeloPress trail running books! Take 25% OFF any (or all!) of these books using coupon code NRDNTD25 during checkout on VeloPress.com from June 3 through June 6. Take a look at all VeloPress mountain biking books!